A "Set - to" at the Fives Court for the benefit of "One of the Fancy". An antique engraving by Sutherland 'From a Drawing by S. Alken'.Published by Thos. Kelly, 17, Patternoster Row on October 13th, 1823 with contemporary colouring. Damp staining in bottom right corner. An antique line engraving by Percy Roberts from a Drawing by Read. Published by Sherwood Jones & Co. February 2nf, 1824, with later hand colouring. Tho's Spring. Champion of England. 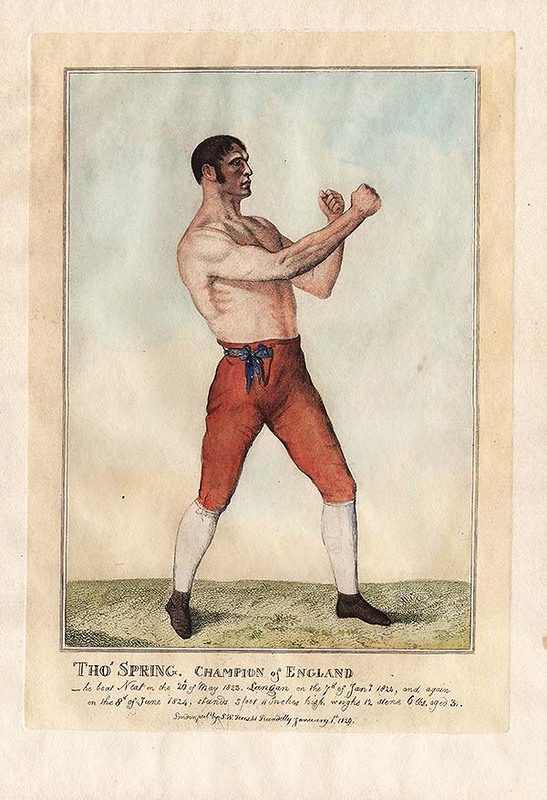 A caricature of Thomas Spring who was born Thomas Winter and changed his name to 'Spring' when he became a proffessional boxer. Published by S.W. Fores, January 1st, 1829 with early hand colouring. 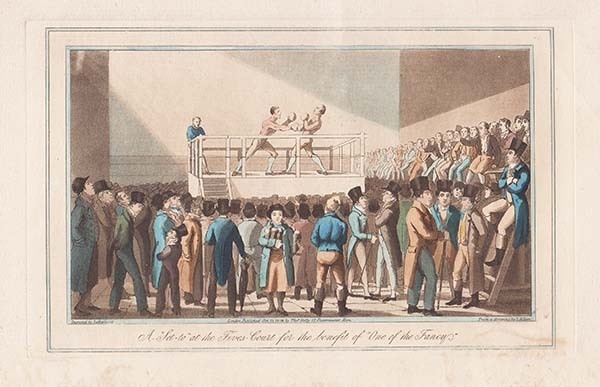 Caption beneath the title reads "- he beat Neat on the 20th of May 1823. 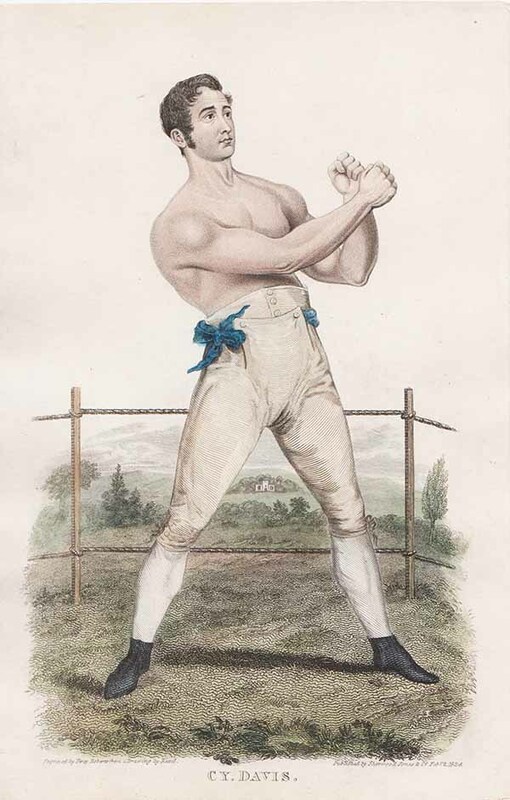 Langan on the 7th of June, 1824, and again on the 8th June, 1824, stands 5foot 11 inches high, weighs 12 stone 6lbs, aged 31." Age toned on verso but otherwise in very fine condition. 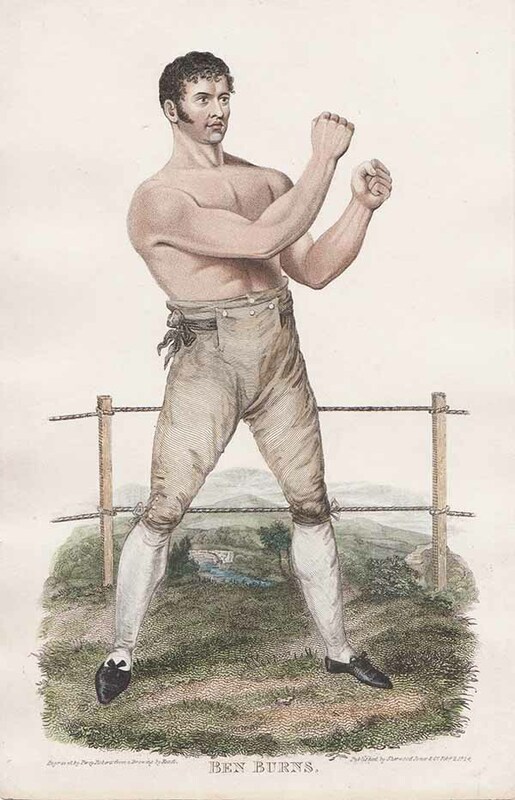 An antique print entitled "Hard Hitter" produced for the famous Victorian Magazine "Vanity Fair" founded by Thomas Gibson Bowles which commenced publication in 1869. For about forty five years caricatures of famous and infamous personalities were carried in the weekly issues of Vanity Fair. Subjects included Royalty, judges, politicians, musicians, sportsmen, artists, actors and criminals of Victorian and Edwardian Britain. This print by 'Spy' was published on 9th July, 1898.